A scientist who pioneered the technology used to discover the biggest selling drug in the world, AbbVie’s Humira, was among a trio who received this year’s Nobel Prize in Chemistry. One half of the prize went jointly to George Smith of the University of Missouri, and Sir Gregory Winter from the MRC Laboratory of Molecular Biology, in Cambridge, UK, for their work on phage display of peptides and antibodies. The other half of this year’s prize went to CalTech’s Frances Arnold for her work on directed evolution of enzymes, which can be used to manufacture drugs in a more environmentally friendly manner. The Royal Swedish Academy of Sciences awarded the prizes for the work that harnesses the power of “directed evolution” to produce targeted antibody drugs, and enzymes that can be used to manufacture anything from biofuels to pharmaceuticals. Smith and Winter’s work on a technique known as phage display was notably used to develop Humira (adalimumab), first approved in 2002 and now used in a range of inflammatory diseases. Winter founded Cambridge Antibody Technology in 1989, which first discovered adalimumab using phage display technology as part of a development partnership with BASF Pharma. After Abbott bought Knoll Pharmaceuticals, the division of BASF that developed Humira in 2000, the drug was approved in a range of inflammatory diseases . 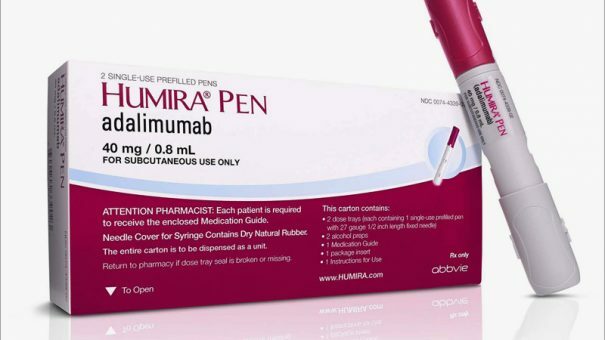 Now owned by AbbVie following a company split in 2013, sales of Humira topped $18 billion last year, although patents in the EU are due to expire this month. The technique involves genetically engineering a bacteriophage virus so that it encodes a protein of interest on its surface. These protein-displaying viruses can be screened against libraries of antibodies to find which ones bind with the displayed protein, and could be used as drugs. In the case of Humira, the phages were made to display the tumour necrosis factor (TNF) protein that stimulates the immune system and causes inflammation in a range of diseases such as rheumatoid arthritis. Phage display has produced antibodies that can neutralise toxins, counteract autoimmune diseases and cure metastatic cancer. CalTech’s Frances Arnold conducted the first directed evolution of enzymes and has refined the methods routinely used to develop new catalysts. Uses of Arnold’s enzymes include more environmentally friendly manufacture of chemicals, including pharmaceuticals, and production of renewable fuels for a greener transport sector. One half of the nine million Swedish kroner (£767,000) prize goes to Arnold, and the other half will be shared between Smith and Winder.